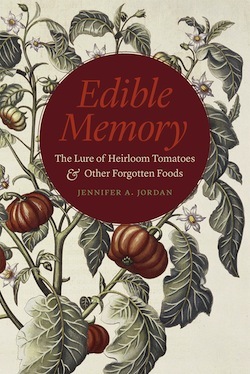 An excerpt from Edible Memory: The Lure of Heirloom Tomatoes and Other Forgotten Foods by Jennifer A. Jordan *** “Making Heirlooms” How could anything as perishable as fruits and vegetables become an heirloom? Many things that are heirlooms today were once simple everyday objects. A quilt made of fabric scraps, a wooden bowl used in the last stages of making butter, both become heirlooms only as time increases between now and the era of their everyday use. Likewise, the Montafoner Braunvieh—a tawny, gorgeously crooked-horned cow that roams a handful of pastures and zoos in Europe, a tuft of hair like bangs above her big brown eyes—or the Ossabaw pigs that scurry around on spindly legs at Mount Vernon were not always “heirlooms.” Nor were the piles of multicolored tomatoes that periodically grace the cover of Martha Stewart Living magazine or the food pages of daily newspapers. What happened to change these plants and animals from everyday objects into something rare and precious, imbued with stories of the past? In fact, food has always been an heirloom in the sense of saving seeds, of passing down the food you eat to your children and your children’s children, in a mixture of the . 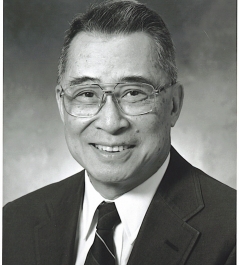 . .
Anthony C. Yu (1938−2015)—scholar, translator, teacher—passed away earlier this month, following a brief illness. As the Carl Darling Buck Distinguished Service Professor Emeritus in the Humanities and the Divinity School at the University of Chicago, Yu fused a knowledge of Eastern and Western approaches in his broadranging humanistic inquiries. Perhaps best known for his translation of The Journey to the West, a sixteenth-century Chinese novel about a Tang Dynasty monk who travels to India to obtain sacred texts, which blends folk and institutionalized national religions with comedy, allegory, and the archetypal pilgrim’s tale. Published in four volumes by the University of Chicago Press, Yu’s pathbreaking translation spans more than 100 chapters; an abridged version of the text appeared in 2006 (The Monkey and the Monk), and just recently, in 2012, Yu published a revised edition. In addition to JttW, Yu’s scholarship explored Chinese, English, and Greek literature, among other fields, as well as the classic texts of comparative religion. He was a member of the American Academy of the Arts and Sciences, the American Council of Learned Societies, and Academia Sinica, and served as a board member of the Modern Language Association, as well as a Guggenheim and Mellon Fellow. From the University of Chicago . 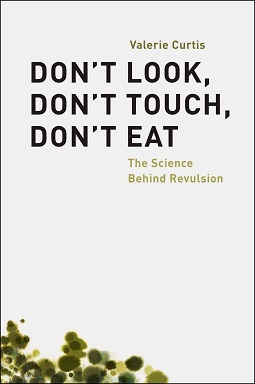 . .
Our free e-book for May, Valerie Curtis’s Don’t Look, Don’t Touch, Don’t Eat: The Science behind Revulsion, considers the narrative history and scientific basis behind the psychology of disgust. *** Every flu season, sneezing, coughing, and graphic throat-clearing become the day-to-day background noise in every workplace. And coworkers tend to move as far—and as quickly—away from the source of these bodily eruptions as possible. Instinctively, humans recoil from objects that they view as dirty and even struggle to overcome feelings of discomfort once the offending item has been cleaned. These reactions are universal, and although there are cultural and individual variations, by and large we are all disgusted by the same things. In Don’t Look, Don’t Touch, Don’t Eat, Valerie Curtis builds a strong case for disgust as a “shadow emotion”—less familiar than love or sadness, it nevertheless affects our day-to-day lives. In disgust, biological and sociocultural factors meet in dynamic ways to shape human and animal behavior. Curtis traces the evolutionary role of disgust in disease prevention and hygiene, but also shows that it is much more than a biological mechanism. Human social norms, from good manners to moral behavior, are deeply rooted in our sense of disgust. The . . .
Coinciding with the celebration of Cinco de Mayo and for a very limited time, the good folks behind the University of Chicago Spanish–English Dictionary (Sixth Edition) app have dropped the price to $0.99 (usually $4.99). You can a basic screenshot of the app’s functionality above—from breezing through recent reviews, it seems like the app’s ability to generate words lists, along with its word-by-word notetaking feature, has proven especially popular. From the App Store description: The Spanish–English Dictionary app is a precise and practical bilingual application for iPhone® and iPod touch® based on the sixth edition of The University of Chicago Spanish–English Dictionary. Browse or search the full contents to display all instances of a term for fuller understanding of how it is used in both languages. Build your vocabulary by creating Word Lists and testing yourself on terms you need to master with flash cards and multiple choice quizzes. Whether you are preparing for next week’s class or upcoming international travel, this app is the essential on-the-go reference. You can watch a demo of the app here: The app is, of course, a companion to the (physical book) sixth edition of the University of Chicago Spanish–English Dictionary, praised by Library Journal as, . . .
Brooke Borel’s Infested: How the Bed Bug Infiltrated Our Bedrooms and Took Over the World, a history, is the kind of book that can make you squirm—and not in a way that reassures you about the general asepsis of your mattress, hostel accommodations, luggage, vintage sweater, sexual partner, electrical heating system, duvet cover, trousseau, or recycling bin. Consider this excerpt from the book, recently posted at Gizmodo, about the plucky bed bug’s resistance to DDT (read more at the link to learn about how it—yes, the insect—was almost drafted in the Vietnam War): Four years after the Americans and the Brits added DDT to their wartime supply lists, scientists found bed bugs resistant to the insecticide in Pearl Harbor barracks. More resistant bed bugs soon showed up in Japan, Korea, Iran, Israel, French Guiana, and Columbus, Ohio. In 1958 James Busvine of the London School of Hygiene and Tropical Medicine showed DDT resistance in bed bugs as well as cross- resistance to several similar pesticides, including a tenfold increase in resistance to a common organic one called pyrethrin. In 1964 scientists tested bed bugs that had proven resistant five years prior but had not been exposed to any insecticides since. . . .
N. D. B. Connolly, assistant professor of history at Johns Hopkins University and author of A World More Concrete: Real Estate and the Remaking of Jim Crow South Florida, on “Black Culture is Not the Problem” for the New York Times: The problem is not black culture. 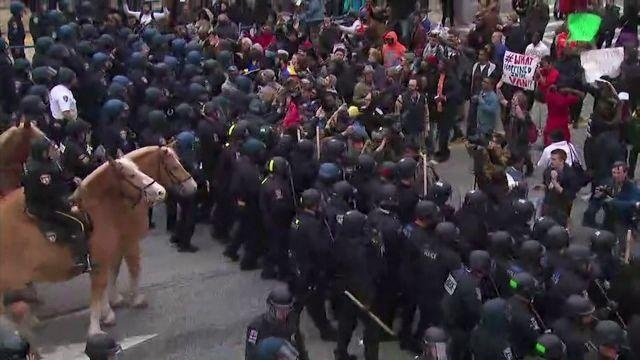 It is policy and politics, the very things that bind together the history of Ferguson and Baltimore and, for that matter, the rest of America. Specifically, the problem rests on the continued profitability of racism. Freddie Gray’s exposure to lead paint as a child, his suspected participation in the drug trade, and the relative confinement of black unrest to black communities during this week’s riot are all features of a city and a country that still segregate people along racial lines, to the financial enrichment of landlords, corner store merchants and other vendors selling second-rate goods. The problem originates in a political culture that has long bound black bodies to questions of property. Yes, I’m referring to slavery. To read more about A World More Concrete, click here. . . .